2016 is pulling no punches: it appears to be systematically wiping out musicians who were a world in themselves: Lemmy, shaman of heavy metal and heavy living, the Thin White Duke, and now his tiny purpleness himself. I was shocked and devastated to hear the news of Prince’s sudden death last Thursday. He was bombastically flamboyant and preternaturally talented, mysterious, unknowable, beautiful. He was also gloriously filthy, responsible for such hits as “Gett Off” (“23 positions in a one night stand”), Cream (“Get on top”) and my personal favourite, “Raspberry Beret” (“I wouldn’t change a stroke”). It wasn’t gratuitous, it was just honest. There was no childish giggling around a subject most adults enjoy, just glittery, raw filth. His song “Darling Nikki” was single-handedly responsible for the introduction of parental advisory stickers. The diminutive virtuoso weaved his way through my consciousness. I remember he opened a shop in Camden when I was a child: all purple and glitter and running water. I saw him live at Hop Farm in 2011 and he was all that you would expect: arriving on stage like a matador from space and I swear, I swear, noting mine and my friend’s raspberry berets (nobody believes me on this). His band was made up of impossibly gorgeous women and he played with amazing energy and for so long that we actually wandered off to get pints before the end and then went on a ride that knocked over all the full pints we’d left by the side, even though we’d been told it wouldn’t. But enough about carnies’ reckless attitude to trading standards. This is something I bitterly regret – wandering off, not the knocked over pints (though that was painful). 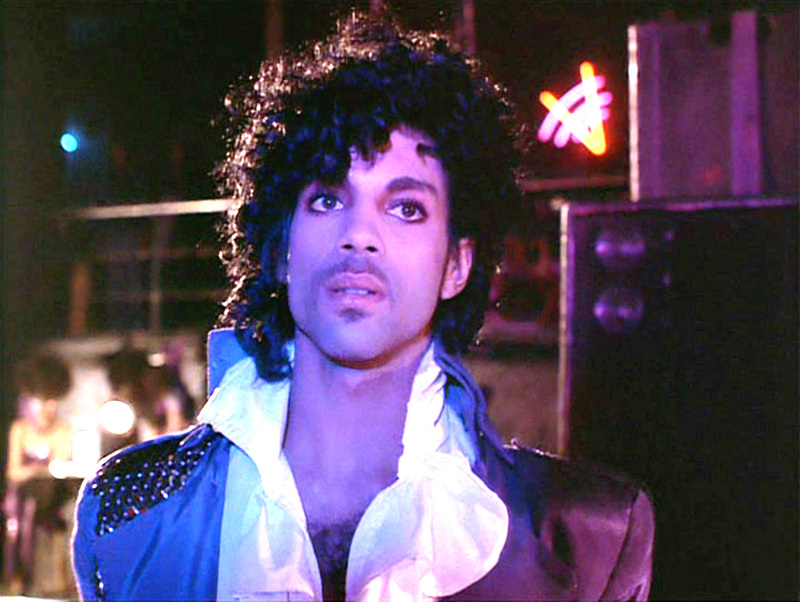 Still we got to hear the emotive, soaring chords of “Purple Rain” and be showered in purple glitter. It was a magical evening, one I will cherish all the more now. Prince Rogers Nelson was born in Minneapolis in 1958, named after his father’s stage name in a hope that the boy would fulfil the ambitions the father never could. He wrote, arranged, produced and performed everything on his debut album For You, released when he was 19. He dominated the 80s with albums like Purple Rain, Sign O’ the Times and 1999. He knew his way around an epic tune and managed the rare feat of attaining mega-stardom whilst still being cool. He was extraordinarily prolific, releasing 39 albums in his career – four in the last eighteen months alone – and his songs pepper popular culture, from Alicia Keys (“How Come You Don’t Call Me?”) to Chaka Khan (“I Feel For You”) to Sinead O’Connor (you know the one). With mega-stardom, however, came what he saw as a loss of control, with his famously feisty relationships with his record company and, latterly, the internet. In 1995 he changed his name to an unpronounceable squiggle based on a blending of the scientific symbols for male and female with customary added flamboyance. This caused much disdain and consternation in the media, who struggled with what to call him, settling on “The Artist Formerly Known as Prince”. When The Times reviewed a show of his in 1995 and used his former moniker, he complained and sacked his PR. This may sound precious but it was also the actions of an artist trying to regain control of his own public image. He provided us with excellent music, it seems a small thing to ask that we called him what he wanted. Prince appeared to be one of the many artist with whom massive fame didn’t wholly agree: he hated giving interviews. His last one was conducted from behind a piano and any question he didn’t like was greeted with the theme from The Twilight Zone (haha!!). Artists who are sensitive and thoughtful, talented and unique often buckle under the pressure of confounded journalists trying to fit them in a box they understand. Prince wasn’t a round peg in a square hole, he was a peacock feather caught in netting. Fame only seems to wholly agree with the vacuous perma-tanned entities that haunt reality TV, perhaps because they have no personality or talent to be distorted. Fame for nothing is the logical conclusion of their unfounded narcissism. I wonder if the gods of music and fame are angry at us for allowing Simon Cowell and his despicable oeuvre so much earspace and are punishing us by taking out the best we have. Someone please stop Cheryl whatsherface from trying to sing, it can’t hurt. To remember the man, here is some footage of him with James Brown and Michael Jackson. Who else could arrive on stage on a bodyguard’s back and spangle about high as a kite whilst still being awesome? Goodbye Prince. I don’t know how that much talent fitted into such a bijous package but I’m grateful it did. Rest in purpleness.